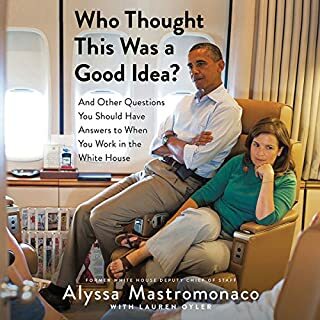 If your funny older sister were the former deputy chief of staff to President Barack Obama, her behind-the-scenes political memoir would sound something like this. Who Thought This Was a Good Idea? is an intimate and admiring portrait of a president, a candid book of advice for young women, and a promising debut from a savvy political star. Detective Inspector Nikki Galena's close friend Helen Brook is involved in a serious accident where she is trapped in a collapsed cellar. 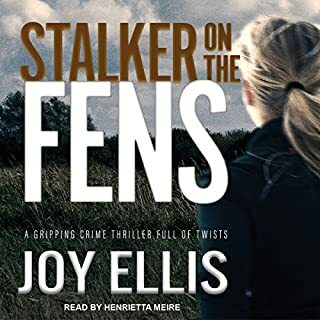 After her hard-won recovery, Helen is still getting flashbacks to a man she says was down there with her and who confessed to a murder. But no trace of this man can be found. Then Helen tells Nikki that someone is watching her. But is all this in her friend's imagination and part of her post-traumatic stress? I love this English police procedural series! This isn’t just about those niggling grammar details that bother us or we can’t keep straight. This is about the cutting edge of our language, how it changes, why it changes, what we can expect in future. Fascinating. 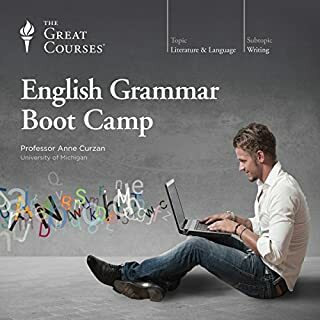 Even months after reading this, I find myself referring in conversation to “as I learned in English Grammar Boot Camp...”. Professor Curzon is also a great and enthusiastic narrator. Set on Egdon Heath, a fictional barren moor in Wessex, Eustacia Vye longs for the excitement of city life but is cut off from the world in her grandfather's lonely cottage. Clym Yeobright who has returned to the area to become a schoolmaster seems to offer everything she dreams of: passion, excitement and the opportunity to escape. However, Clym's ambitions are quite different, and marriage only increases Eustacia's destructive restlessness, drawing others into a tangled web of deceit and unhappiness. Fro the writing, and the incredible narration by Alan Rickman. Diggory Venn, of course, because he takes things to heart in an honest way, works things out in his mind, and persists in his beliefs and his love. What does Alan Rickman bring to the story that you wouldn’t experience if you just read the book? He can drip with irony, and this is a book where such ironic depth brings out the author's intent. A fire that kindles hotly burns out quickly. 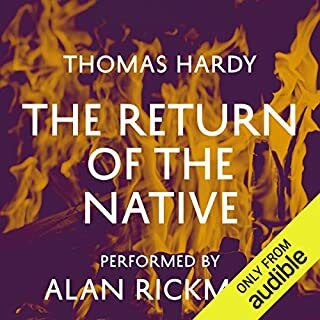 Egdon Heath is a full character in The Return of the Native, which is a dark and brooding book. From page one, Hardy draws us in: "A Saturday afternoon in November was approaching the time of twilight, and the vast tract of unenclosed wild known as Edgon Heath embrowned itself moment by moment. Overhead the hollow stretch of whitish cloud shutting out the sky was as a tent which had the whole heath for its floor.The heaven being spread with this pallid screen and the earth with the darkest vegetation, their meeting-line at the horizon was clearly marked. In such contrast the heath wore the appearance of an installment of night which had taken up its place before its astronomical hour was come: darkness had to a great extent arrived hereon, while day stood distinct in the sky….The somber stretch of rounds and hollows seemed to rise and meet the evening gloom in pure sympathy, the heath exhaling darkness as rapidly as the heavens precipitated it. And so the obscurity in the air and the obscurity in the land closed together in a black fraternization towards which each advanced half-way. "Just wait till you hear Alan Rickman read that. 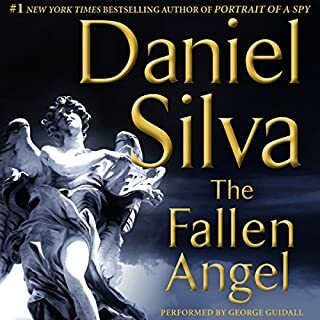 After narrowly surviving his last operation, Gabriel Allon, the wayward son of Israeli intelligence, has taken refuge behind the walls of the Vatican, where he is restoring one of Caravaggio's greatest masterpieces. But early one morning he is summoned to St. Peter's Basilica by Monsignor Luigi Donati, the all-powerful private secretary to his Holiness Pope Paul VII. The body of a beautiful woman lies broken beneath Michelangelo's magnificent dome. Yet another in the Gabriel Allon series with plot twists and turns and world terrorism thrown in. For someone who likes the Allon books, this is one they would like. Have you listened to any of George Guidall?? ?s other performances before? How does this one compare? Breathless and painstakingly researched, this is a stunning debut mystery in which Sherlock Holmes unmasks Jack the Ripper. 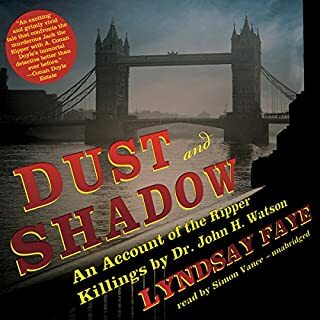 Lyndsay Faye perfectly captures all the color and syntax of Conan Doyle’s distinctive nineteenth-century London. Faye does a great job of taking the Jack the Ripper facts and blending them into a plausible Sherlock Holmes tale. Even a plausible explanation of the Ripper phenomenon. Makes a long car ride go by in no time and you want to listen to the end when you get where you're going. And of course Simon Vance is an excellent reader. Is there life beyond the grave? Is it reasonable to believe in the afterlife? If so, how should we act on those beliefs? Best-selling author Dinesh D'Souza undertakes an unprecedented voyage of intellectual discovery to reveal the truth about life, death and beyond. 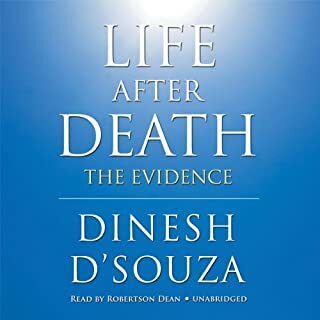 D'Souza claims to present "evidence" for life after death but almost nothing in this book could be considered evidence, apart from a few interesting forays into science. The bulk of the book is an attack on atheism. I was aware that the book would have a Christian bias but was not prepared for the relentless attacks on the currently in vogue atheists. D'Souza considers that once he has argued his position, the result of the argument is "proof." I found the arguments (or proofs) specious and sophistic. Don't waste your time or money. Sister Evangeline was just a girl when her father entrusted her to the Franciscan Sisters of Perpetual Adoration. Now, at 23, her discovery of a 1943 letter from the famous philanthropist Abigail Rockefeller to the late mother superior of Saint Rose Convent plunges Evangeline into a secret history that stretches back a thousand years: an ancient conflict between the Society of Angelologists and the monstrously beautiful descendants of angels and humans. This is a Dan Brown sort of action book. It's well read but there's not a lot of there there. I find Dan Brown thin at best and this is even thinner.